In Philadelphia there’s a day that occurs in the spring that clearly marks the end of winter. You know it when you see it – kids are outside on bikes, warm breeze, people cutting grass for the first time. As a pastor, whenever “that” day hits, I know that the upcoming Sunday a sizable number of our people will be worshipping at Bedside Baptist. It’s also the day many of our new Christians will take their first bite of the lotus plant. In Homer’s Odyssey, the main character Odysseus and his men had been wildly thrown off course, and spent years sailing from island to island, facing obstacle after obstacle, all in their quest to make it home to see their wives and children. One of the stops early in their journey was at the island of the lotus-eaters. When Odysseus dropped anchor he was unaware that the island was a trap: anyone who arrived and ate the fruit of the lotus plant that covered the island never wanted to leave. All they wanted to do was sit around in the sun and relax. Sort of like how people in my area feel when the first sunny spring day hits. Well Odysseus sent scouts to explore the island, but they never came back. Then he sent more scouts to scout out the scouts, but they never returned either. Then Odysseus personally went out with more scouts to scout out the scouts who had been scouting in the first place. Lost all desire? All memory of the journey home lost forever? How could that be possible? These were men who spent years in battle and desired nothing more than to walk the shores of Ithaca and see their wives and families! Homer tells us that Odysseus would have none of it. To me, skipping church is like taking a tiny bite out of a lotus plant. With each intoxicating bite we are drawn further and further away from the power of the local church to shape and deepen our calling to be disciples of Jesus. The varieties of lotus plants are as numerous as there are people. I think this is because many Christians have never been taught why making a commitment to be in Sunday morning worship every single week is absolutely vital to their spiritual growth. 1. We lose the opportunity for corporate worship. 2. We lose the opportunity to serve others, whether it’s in children’s ministry, ushering, leading worship, etc. 3. We lose track of the way God is working in our local church family, and the part we can play in it. 4. We lose the opportunity to bring non-Christians to church. 5. We lose the opportunity to welcome new people that other people brought for the first time. 6. We lose the opportunity to learn more about the Bible. 7. We lose the opportunity to model for our children that church attendance is important. 8. We lose the opportunity to strengthen our connections with fellow Christians. 9. We lose the opportunity to encourage the pastoral staff of the church we are a part of. 10. Finally, as Hebrews 10:25 says, we lose the opportunity to obey God. 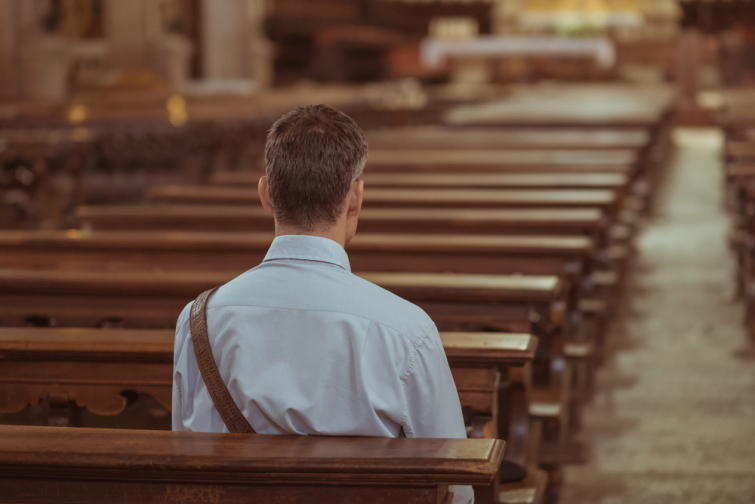 “Attending church” isn’t some mildly important activity that does some good if you happen to find room in your busy schedule to make it to a service or two. It’s what Charles Duhigg calls a “keystone habit.” It’s the one habit that does more to strengthen all other Christian habits combined. You eliminate faithful participation in church and you lessen the resolve of everything about your walk with Christ. Everything. That’s why if you find yourself among the lotus-eaters, lazing about with your feet propped up, while watching lost and broken people drive into ditches all around you, wake up. Rouse yourself. Remind yourself what is at stake. What’s more, if you know a Christian who is on that island and doesn’t realize it, you need to go get them! If they fight you, fight them back. Don’t give in. Don’t allow their sweet sounding words of indolence and apathy to trick you into thinking that human wisdom is wiser than God’s. Attending church every Sunday is the single most important thing you can do to become a fully-devoted follower of Jesus. So if you have a friend who has gone AWOL, you need to be their Odysseus and spiritually haul them back to the boat. Tie them to the mast, and wait until the effects of their spiritual apathy wears off, and then push forward on the Christian journey together.